Discover All the Plug Valves We Manufacture and How We Can Help You to Get More Job. Our valves are certified by the most important authorities in the world such asTUV, DNV, Bureau Veritas and others. Our factory has achieved the ISO 9001, ISO 14001 and OHSAS 18001international certifications for our valves. Ask us a FREE QUOTATION for more details don’t hesitate to contact us. Our staff will help you in any requirement. Our factory started its activity in 1985 and has become one of the Leader Manufacturer of Steel Valves in China. Our headquarter in Wenzhou covers an area of 80.000 sq.m. in which there are 5 workshops. We have API valves workshop, Plug valves workshop, ball valves and butterfly valves workshop, strainers workshop andpower station valves workshop. In Shanghai our Zhedong valve group has another facility which covers an area of 35000 sq.m. In this plant there is the administrative buildings area, which extends for 28.000 sq.m. Our valves are designed and manufactured according to API16D, ISO, ANSI, API, DIN, J15, NF, B5 standards. We are exporting our plug valves all over the world. We have long term customers from USA, Europe, Japan. We currently export in more than 60 countries all over the world. You could have a better idea about our job: only the best grow materials, high level of tecnology, scrupulous work organization, and more. 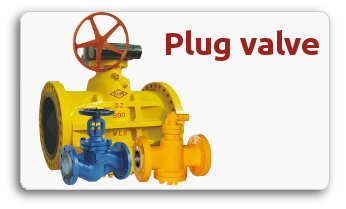 Send your specific requirements and in within 2 working days you will have you FREE QUOTATION from the main Chinese Plug Valve Manufacturer.